Animal Kingdom has lots of extras to offer guests! Do you want to learn more about the care of the animals? Perhaps you’d like to hear about the inspiration and design of the park? There’s a tour for you! Wild Africa Trek – With the assistance of an expert guide, guests will explore the remote areas of Animal Kingdom for the opportunity to observe animals in their native habitat. The guide will share knowledge about the animals and the park. 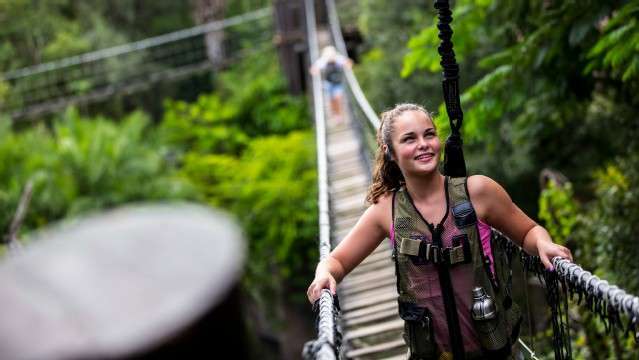 You will step into a safety harness to cross a rope bridge just a few feet above crocodiles & hippos. A photographer will follow along to document your experience. The tour will end at a private safari viewing area with African-inspired snacks. This tour is 3 hours long. Prices begin at $189 per person & vary based on season (separate park entry is required). Lots of restrictions so be sure to get all information when you book. You should be in good health with physical stamina, no fear of heights, & able to navigate foliage & rope bridges. Guests ages 8 through 18 must be accompanied by a paying adult. Guests must be at least 48 inches tall & between 45-300 pounds with harness gear. Guests must wear closed-toe shoes with a backstrap & skirts/dresses are not recommended. Complimentary lockers, safety vests, & wireless headsets are provided. Cameras must be secured to the vest. Backstage Safari Tour – You will begin with a tour of the Animal Nutrition Center to learn how the food is prepared & distributed. Then, you will head to the animal housing area, tour the veterinary hospital, and finally the Animal Programs Administration building. You will be served refreshments & receive a souvenir to take. The tour will conclude with a private ride on Kilimanjaro Safaris which will last approximately 30 minutes. This tour lasts 3 hours & no photography is allowed backstage. The cost is $72 per person & separate park entry is required. 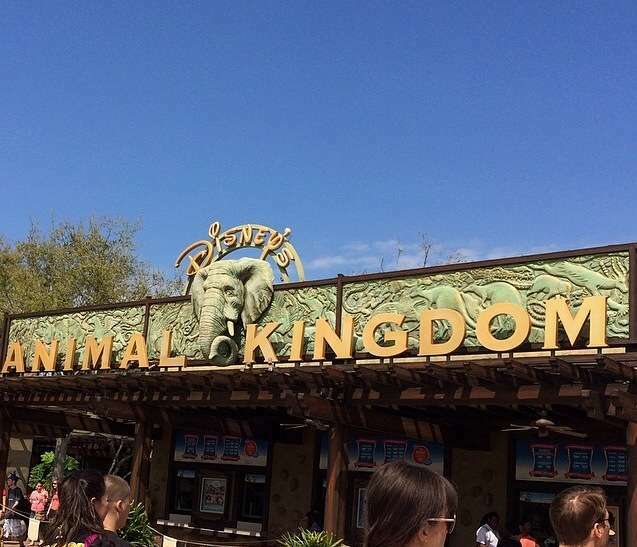 Wild by Design – This tour will teach you all about the Imagineering involved in creating and maintaining Disney’s Animal Kingdom Park. You will learn about the hand-painted murals in Anandapur, learn about storytelling in DinoLand USA & more. You will also have the opportunity to speak with Animal Keepers & learn about wildlife conservation efforts. Halfway through the tour a continental breakfast will be served. You will also receive a souvenir to take home. This tour is 3 hours & costs $60 per person. Separate park admission is required. Guests 14-15 must be accompanied by a paying adult. Here are some details that you need to know. Reservations are required. Call 407-WDW-TOUR during the hours of 8am-8pm Monday – Friday or 8am-5pm on weekends or holidays to book your tour. In most cases, a credit card will be required to hold the reservations. Most tours require separate theme park admission. Participants must be 16 years or older with a few exceptions as noted. Cancellation policies vary. Discounts such as annual passholder, DVC, Disney Visa cardholders vary. Be sure to ask about all of these when you book! Stay tuned for my next articles featuring tours available at Disney’s Hollywood Studios & more!! If you missed my previous posts, click here to read about tours offered at Magic Kingdom park & here to read about EPCOT park.